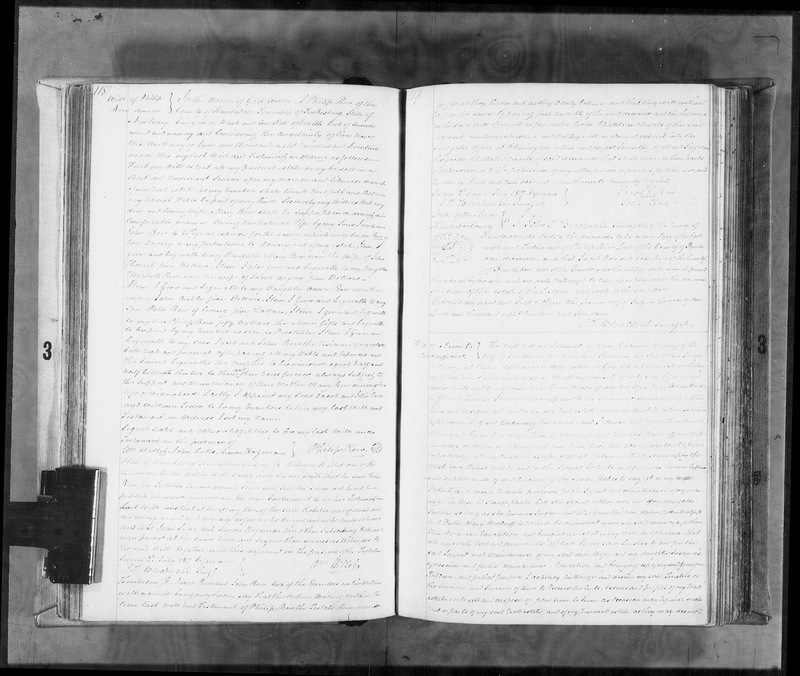 Genea-Musings: Amanuensis Monday - Post #289: 1817 Will of Philip Row (1752-1817) of Tewksbury, N.J.
Amanuensis Monday - Post #289: 1817 Will of Philip Row (1752-1817) of Tewksbury, N.J.
made this my last Will and Testament in Maner as follows. Elizabeth Row now the wife of Jacob Apgar five Dollars. Testament in Witness I set my Name. Render a Just and true Account when thereunto lawfully required. stration of the estate of the Testator agreeably to the said will. New Jersey, Surrogate Court Estate files, Hunterdon County Wills, Vols. 3-6, 1815-1838, Volume 3, pages 118-119 (image 86 of 1128), Philip Row estate; "New Jersey, Wills and Probates, 1785-1924," digital images, Ancestry.com (http://www.ancestry.com: accessed 7 September 2015); citing original papers in New Jersey County, District and Probate Courts. The will of Philip Row identifies his wife, Mary, his sons Jacob, John, Peter, and Philip, and his daughters Mary (Row) Hovert, Elizabeth (Row) Apgar, and Anna (Row) Auble. Jacob and John were named to be executors. The will was dated 9 June 1817 and was proved on 2 July 1817. My descent from my 4th great-grandparents Philip and Mary (Smith) Row is through their daughter, Anna who married John Auble (1780-1831) in 1804.